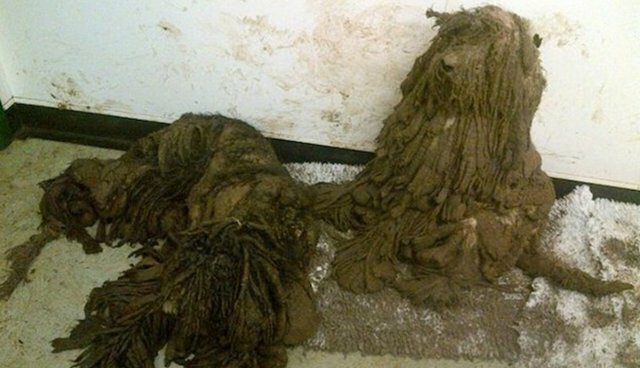 When nine dogs were found abandoned on a cold January night, their fur was so matted with mud they could have been confused for old, dirty mops. "This is the worst case I have ever seen," Royal Society for the Prevention of Cruelty to Animals inspector Jan Edwards said in a statement. "Even if just one of these dogs had been found in this state I would be appalled, but to find nine of them all in such a bad way is incredibly upsetting." 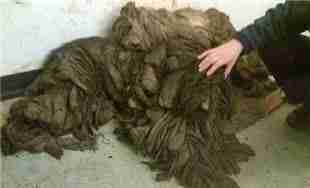 The dogs, struggling with their knotted fur, could barely stand or see. But this shaggy dog story takes a turn for the better. The Winchester City Council took the dogs, all between the ages of 1 and 3, under its wings. 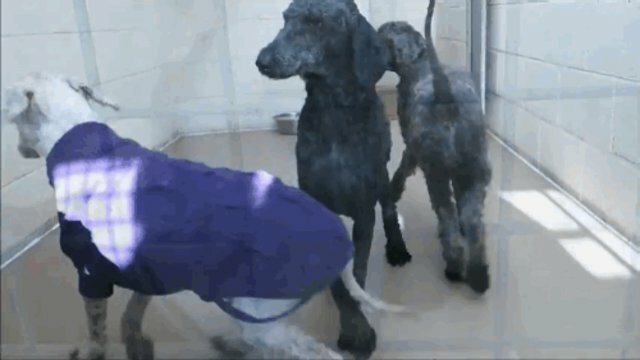 Vets removed up to 25 pounds of hair from each dog, and a spokesperson for the city council told The Dodo that the recovering dogs are "very affectionate." After seven days, the RSPCA will take the dogs into its care, with the goal of finding new homes for the pooches. "Our first priority has been and remains the welfare of the dogs," said Jan Warwick, Winchester's environment and health councillor, in a statement. 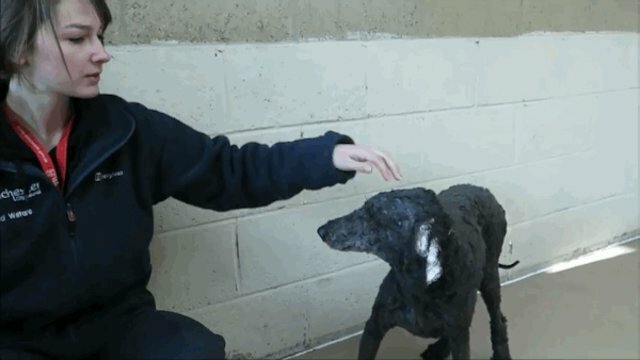 "The dogs are doing well in spite of their ordeal." 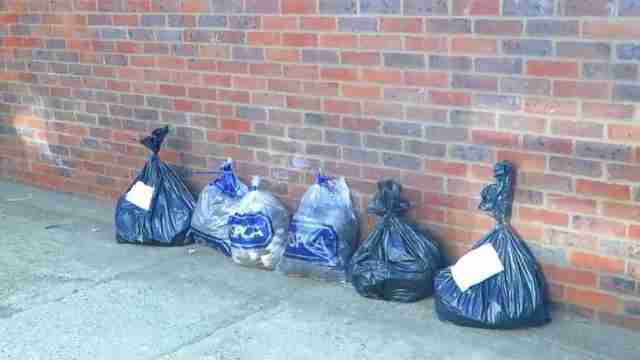 Those looking to adopt a homeless dog or cat can visit the RSPCA website, and the Winchester City Council has put out a request for any information regarding these abandoned dogs.